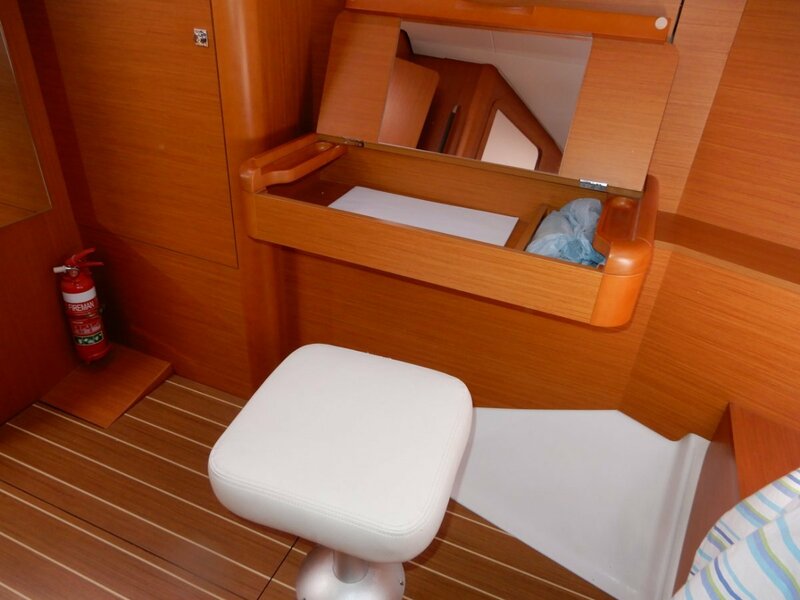 Grab an opportunity! 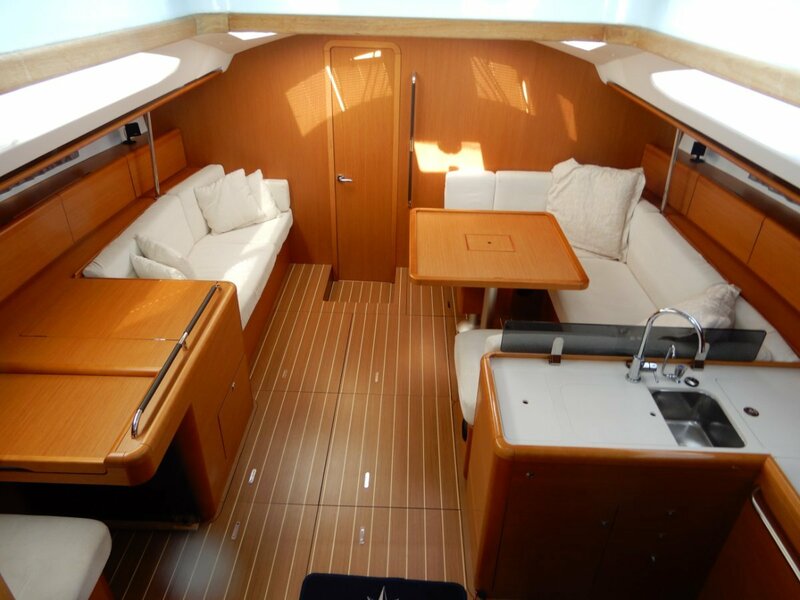 Once the flagship of the Jeanneau stable! 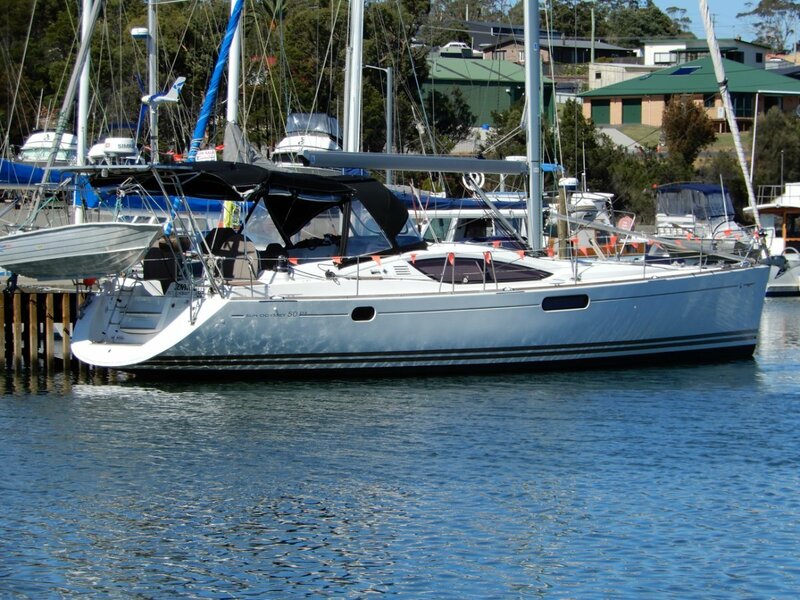 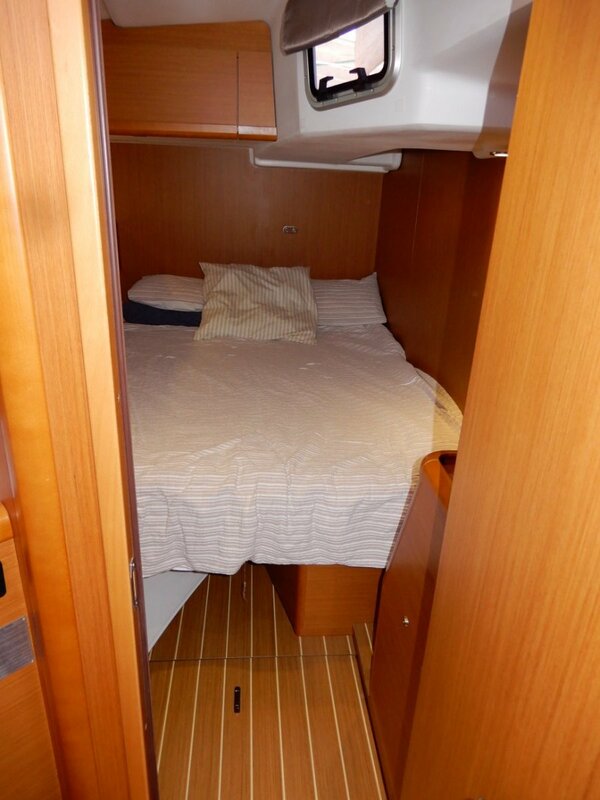 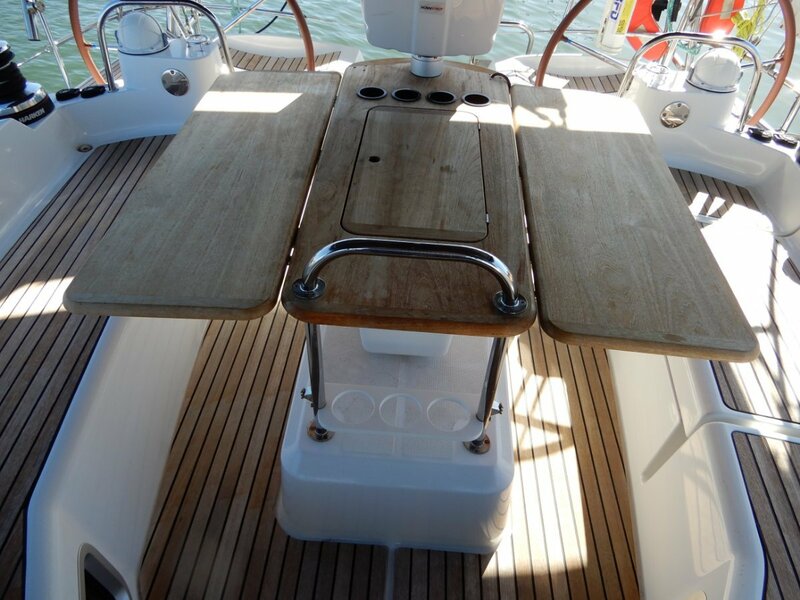 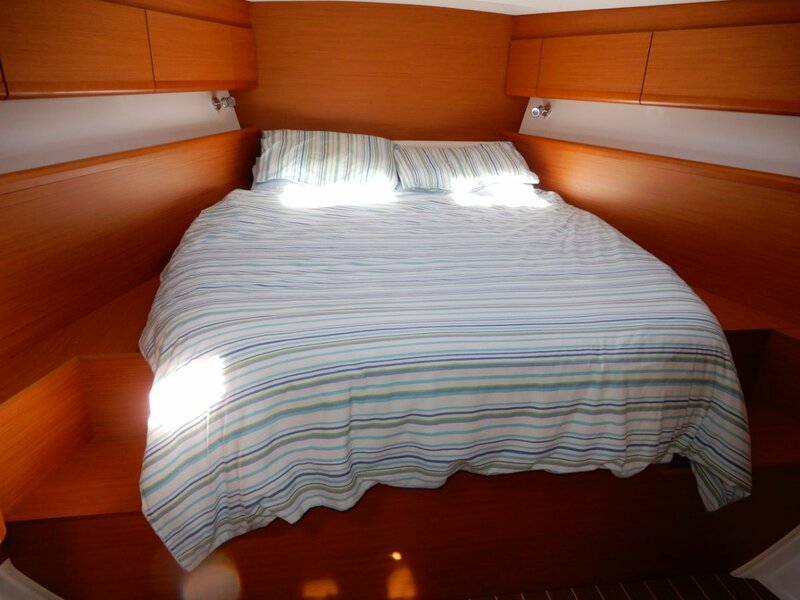 A late model one owner Jeanneau 50 Deck Saloon well below the price of a comparable new boat. 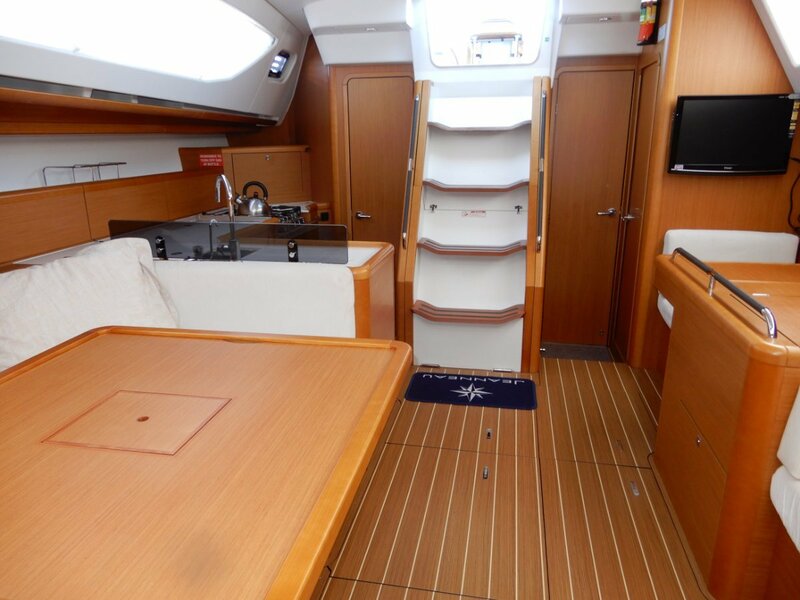 Late model buyers of Beneteau, Bavaria, Hanse, Moody, Catalina, should consider this boat. 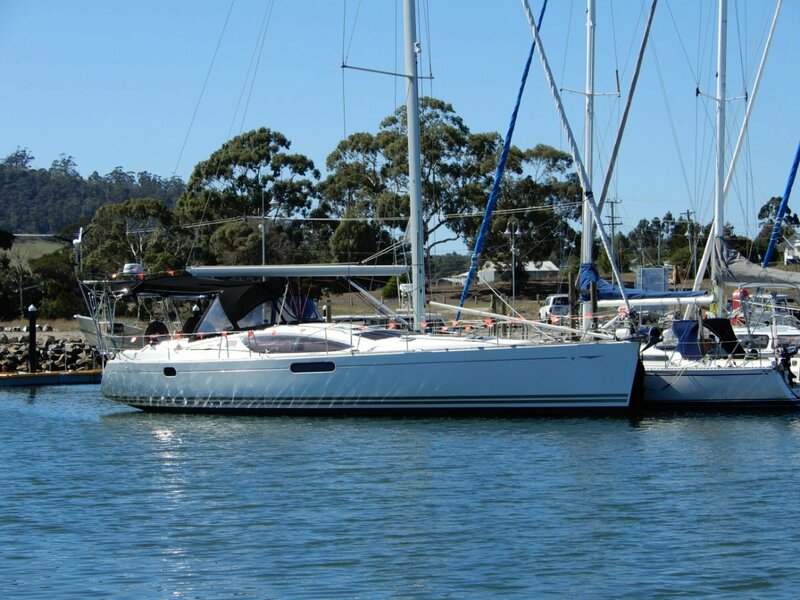 Launched in 2014 and cruised in local Tasmanian owners this boat is presented in very good condition with all the extras for comfortable safe cruising. 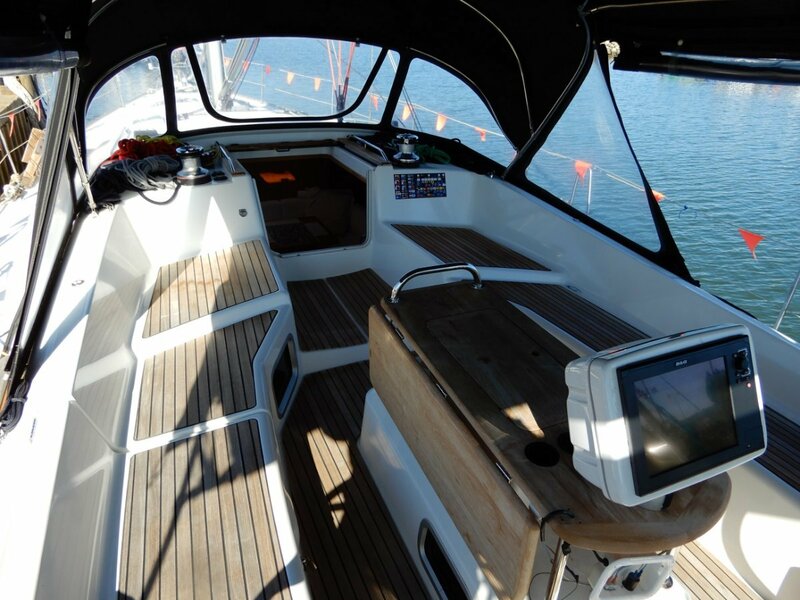 The boat's Tasmanian owner is a well known, serious and competent sailor with the boat set-up for easy handling with minimum crew, plenty of Harken winches including 3 electric, all halyards etc lead aft to the rope jammers on the cabin top and sheets to the winches adjacent to either helm means the skipper doesn't need to leave the cockpit. 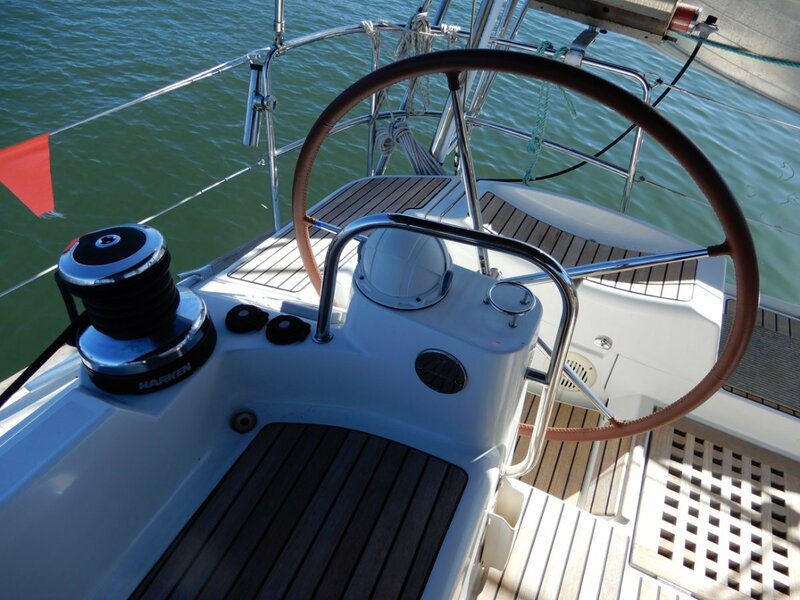 The mainsail has the very important IN MAST FURLING feature, again operated from the cabin top plus the furling headsail works with the minimum of effort. 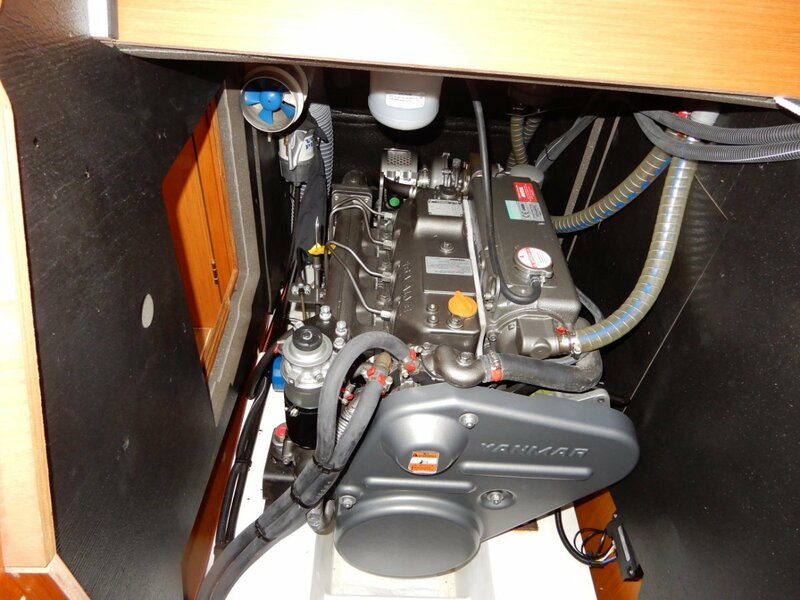 Power is from the 75hp current technology Yanmar diesel providing an effortless and economical 7.5 knots cruising speed, a bow thruster is fitted for easy berthing and an anchor up/down switch is also fitted to the port side wheel. 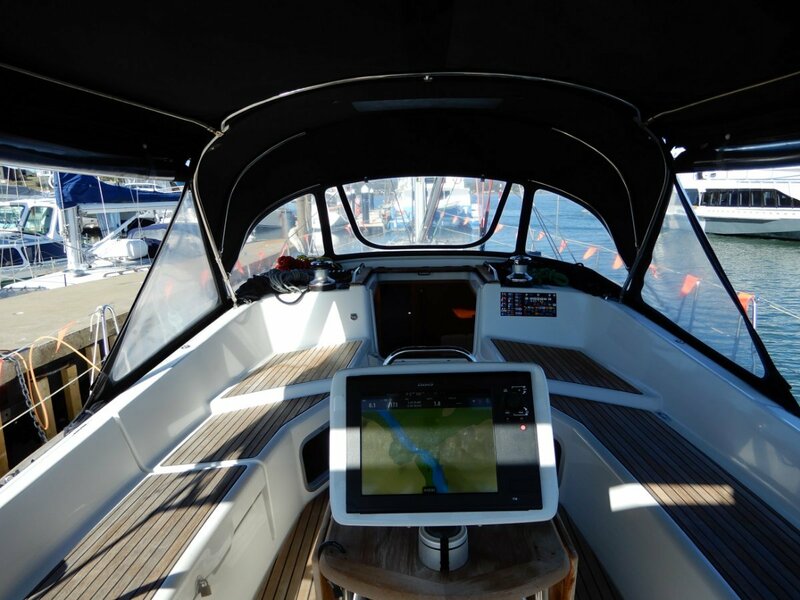 The twin wheel steering allows great access from the step through transom to the cockpit proper, with instrumentation at both wheels and a current technology multi function plotter/radar/GPS unit in a central pod on the aft end of the cockpit table. 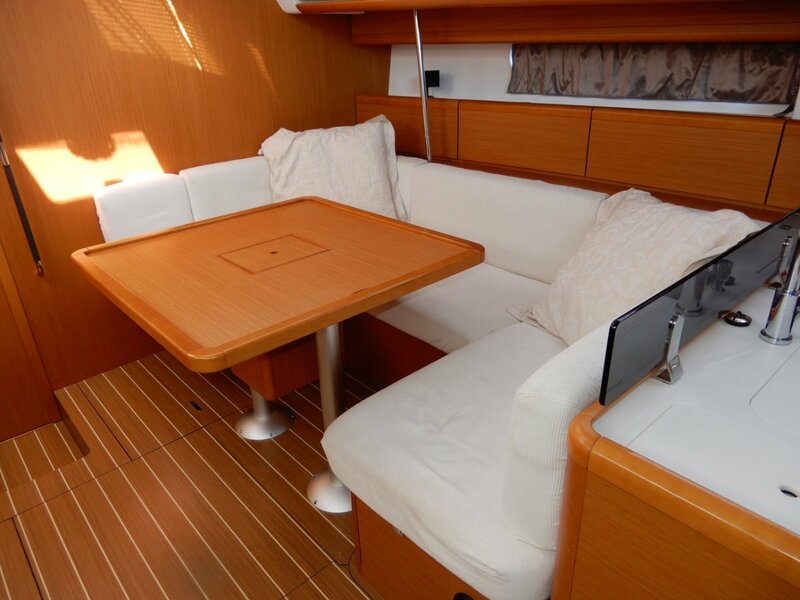 The cockpit provides great space for entertaining or simply relaxing at anchor, plus has a full dodger/bimini/infill cover with removable clears all round, who needs a pilothouse with this set-up. 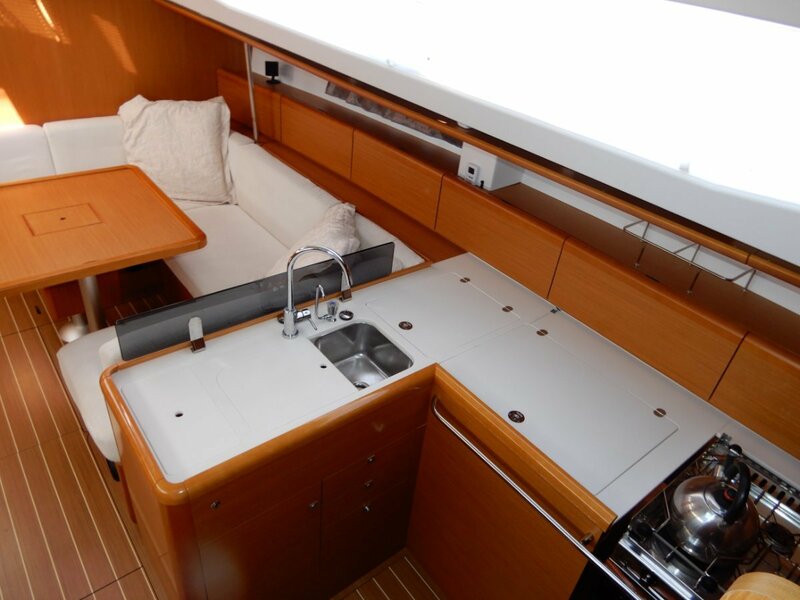 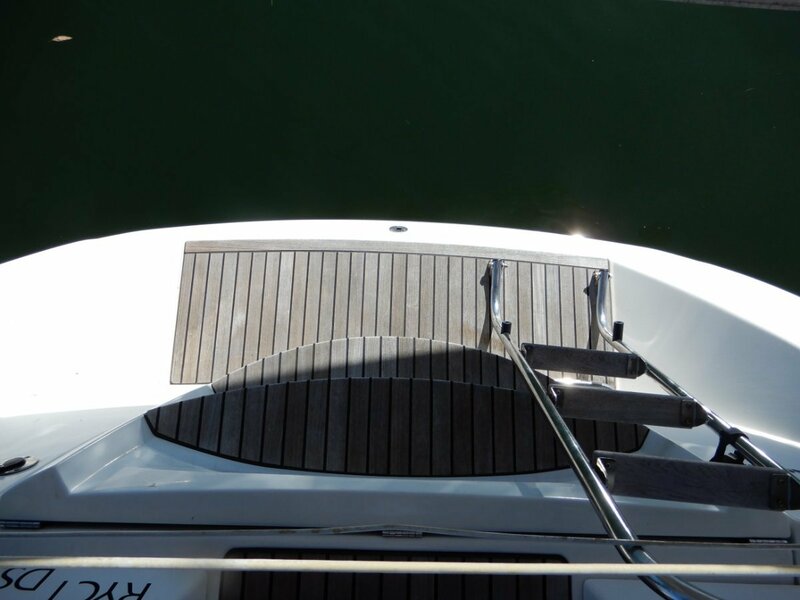 Down below the Jeanneau deck saloon series are renowned for the spacious light and airey saloon and the 50ds personifies this.. 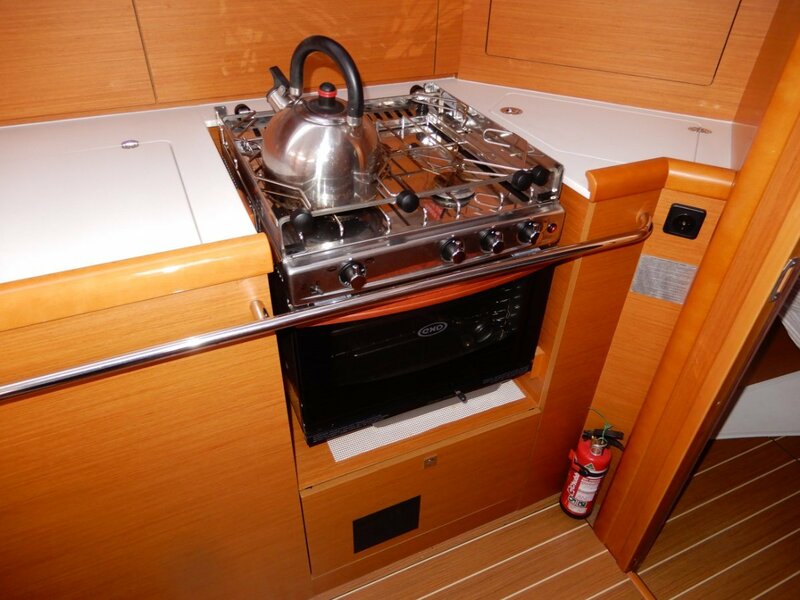 The dinette will seat up to 10 comfortably, the galley is well appointed with 1.5 bowl sinks, 3 burner stove with grill and oven, fridge and freezer compartments, corian bench tops plus stacks of well laid out storage. 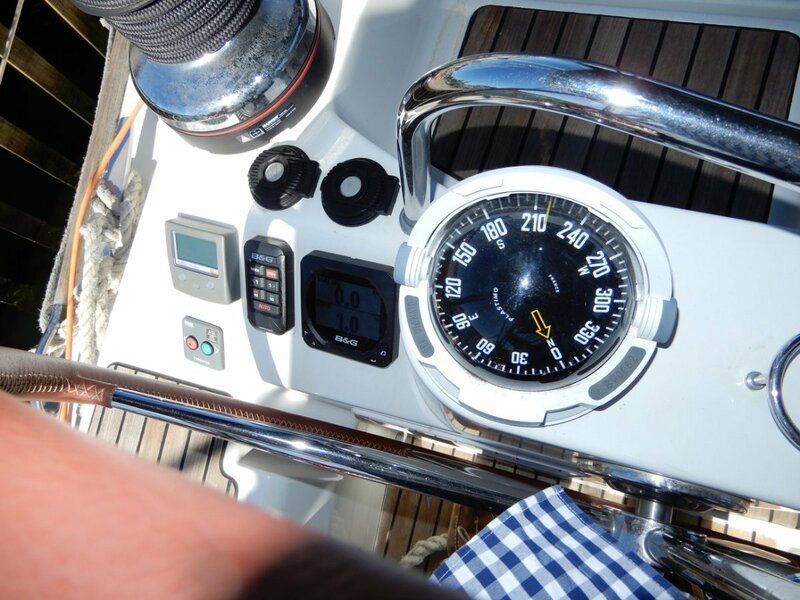 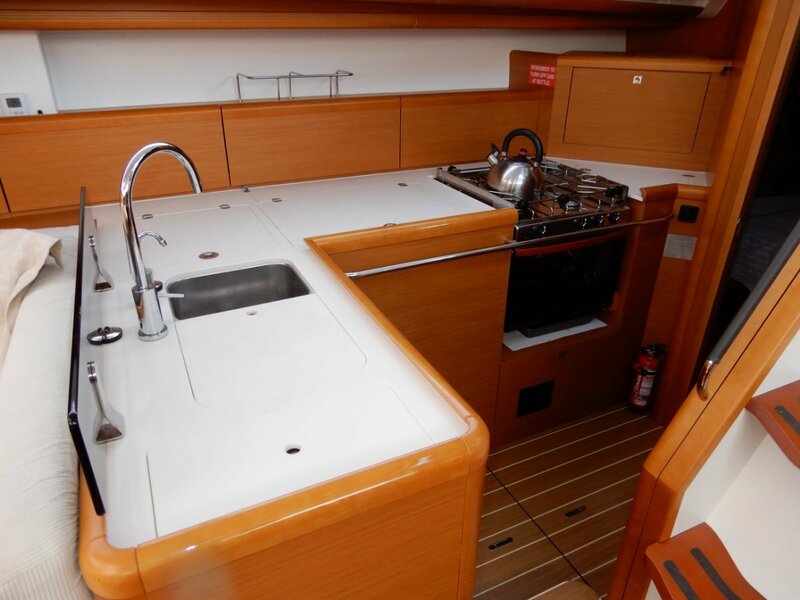 Opposite is a true sailors nav station with chart table, good electronics panel and VHF and HF Radios. 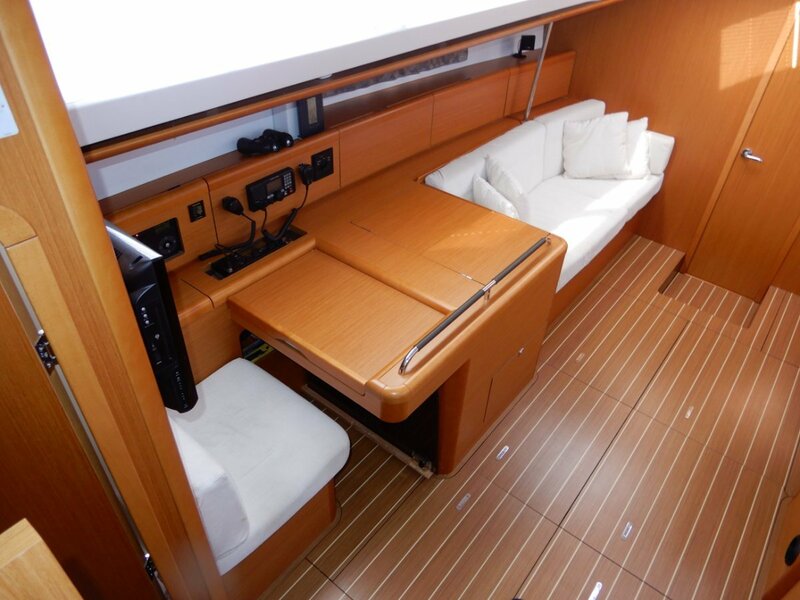 The 3 cabin, 2 bathroom layout is most popular, a large master cabin for'ard with semi island queen size berth, own ensuite with separate shower recess and vanity unit/work station. 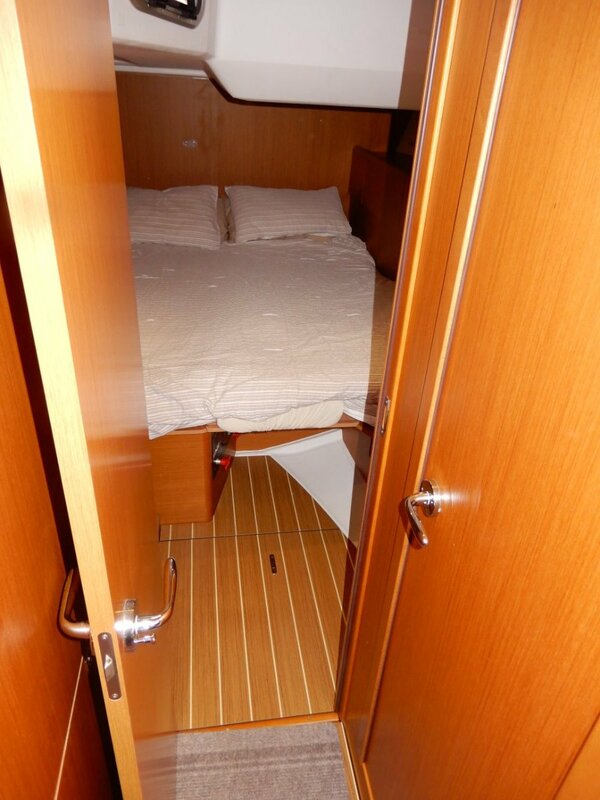 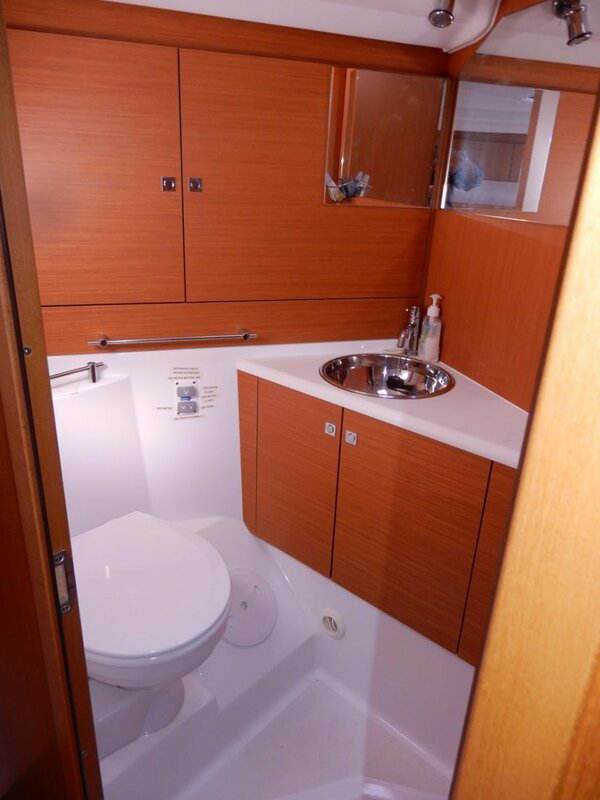 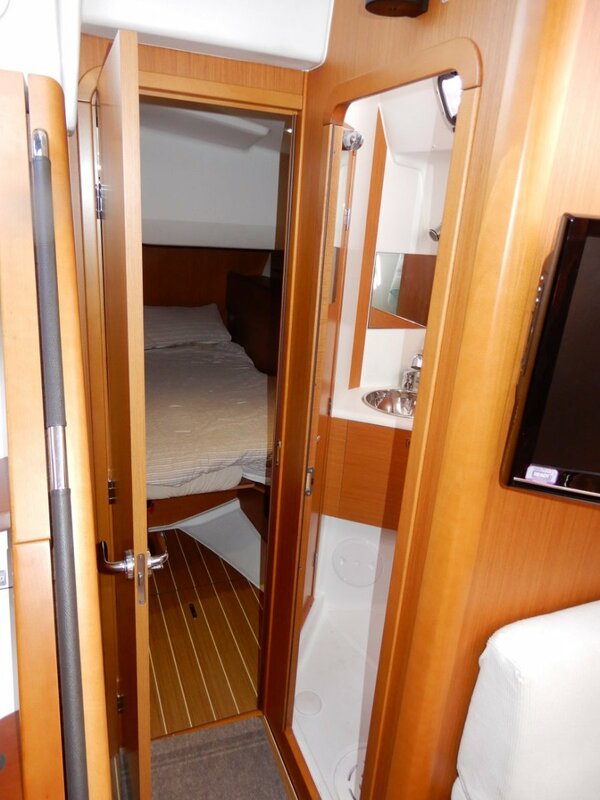 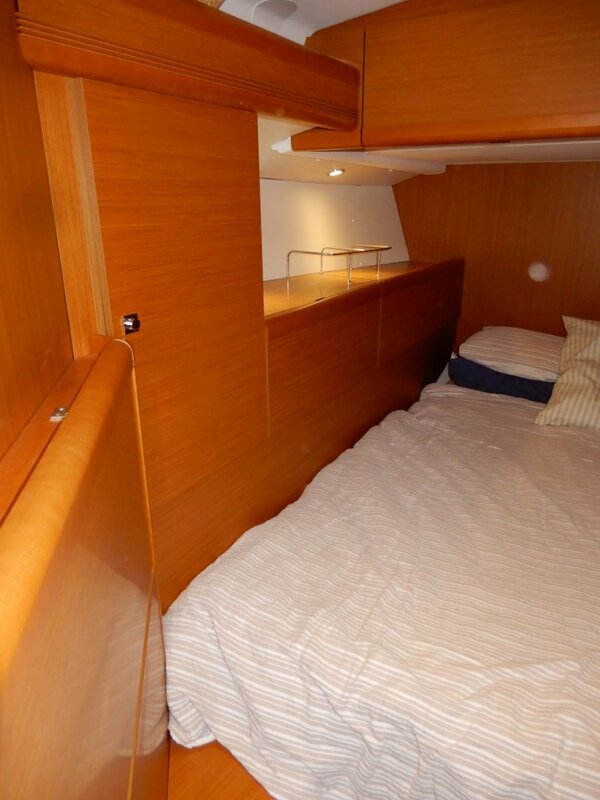 The two aft cabins are true doubles with a dual access bathroom on the port side. 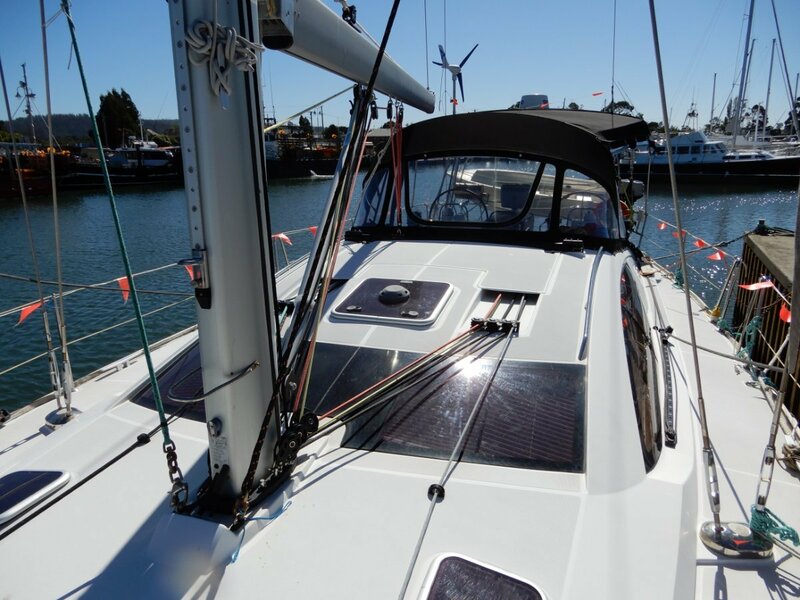 Other extras include large 3kva inverter, custom dinghy davits, solar panels and wind generator plus more. 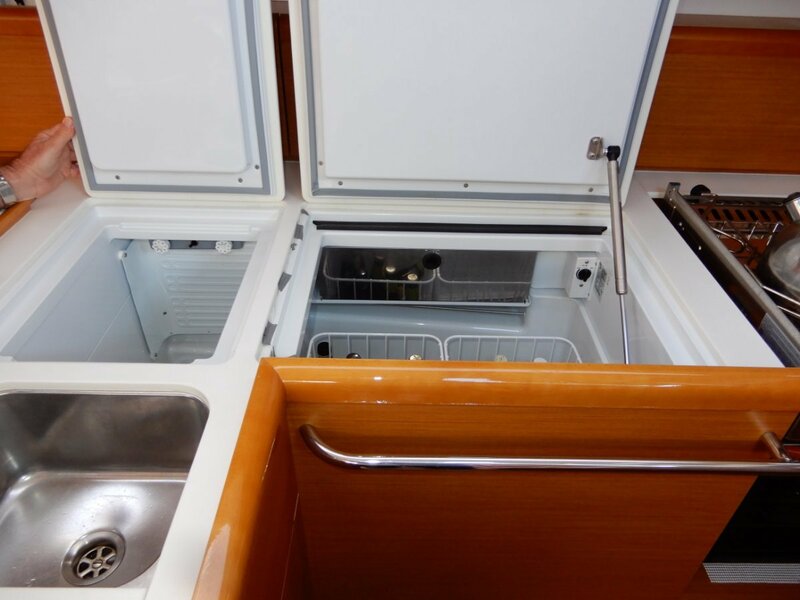 Galley includes Three Burner Stove with Oven and Grill, 2 X Fridge / Freezers, Twin Stainless steel sink with H/C pressurised fresh water plus salt water outlet added and Excellent storage. 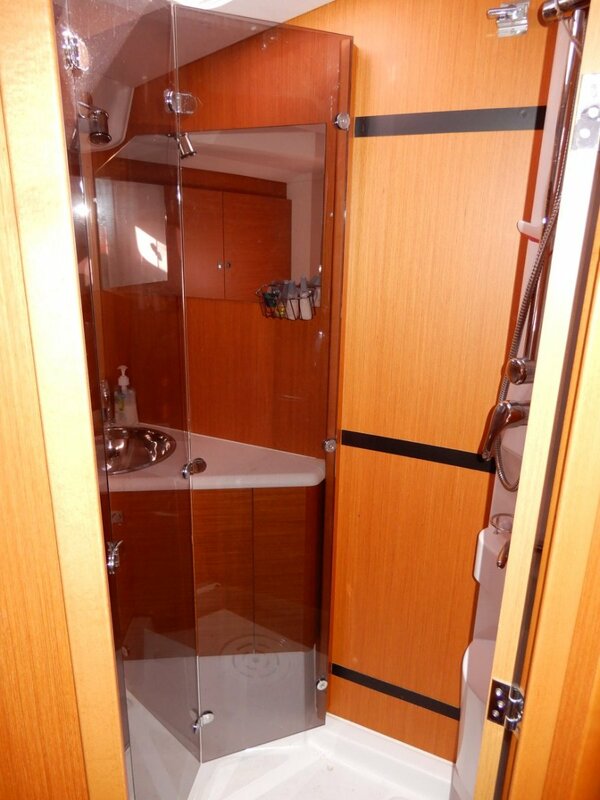 2 X Separate Enclosed heads with H/C Shower, Toilet and Hand basin. 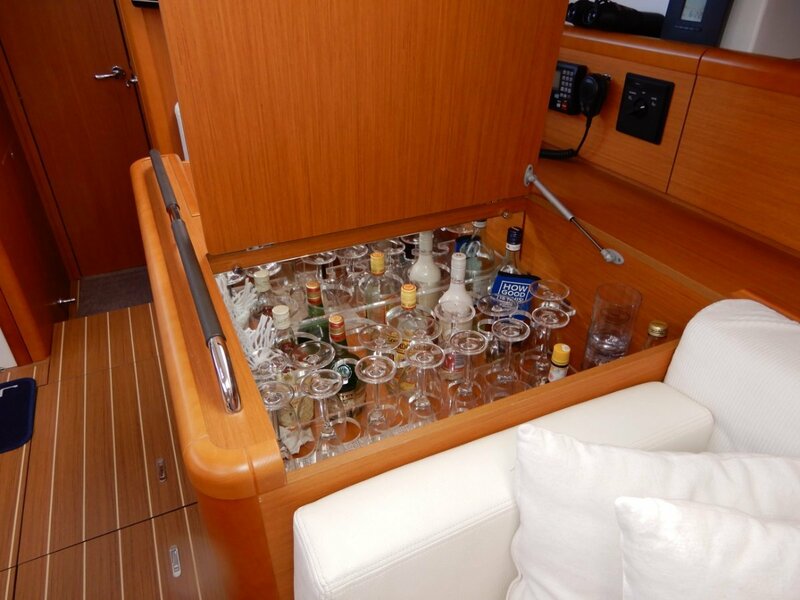 Full set of custom designed removable Clears to enclose cockpit. 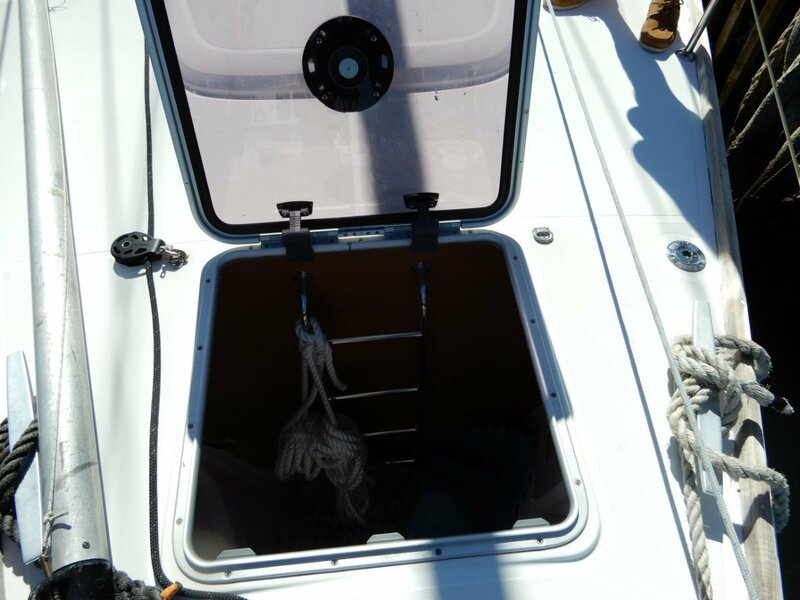 Stainless steel rigging with upgraded Spectra spinnaker and genoa halyards.